New Vic Education works with education providers from nurseries to universities, using drama as means of learning and developing key skills. For a single class or across a year group here at the New Vic. Included in your visit will be a backstage tour, a chance to meet some of the creative staff involved in our work, a practical drama workshop focusing on a theme of your choice, and an additional activity based on our work. A backstage tour provides rare insights into the world of theatre. From the set design workshops to the secret trap doors and fascinating costumes, learn more about a world normally hidden from view. 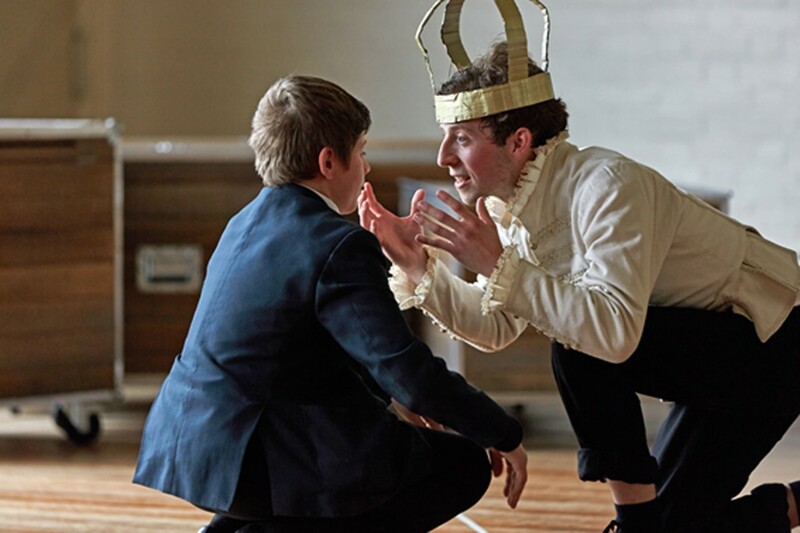 These tours are also useful for pupils and students wishing to find out more about the world of work and the professions involved in theatre-making. We also provide tours for clubs and community groups. Contact us to arrange your behind the scenes visit. Your nursery may be interested in our annual festive storytelling installation – Tale Trail. An interactive and magical experience, it allows very young children, their teachers and carers to experience the environment and characters involved in our main house production. Journeys to make, problems to solve and a feast for the senses! New Vic Education regularly works with partners to design and deliver projects for their own particular needs. Why not talk to us about your ambitions for your students or group and we’ll help you achieve them.